Project status: This project is now concluded. In 2008, the Canadian Water Network (CWN) awarded Dr. Karen Bakker (UBC) and Dr. Diana Allen (SFU) a four-year grant to lead a team of researchers from 8 Canadian universities, and 20 project partners from across Canada, on a project to improve water security in Canada. The overall objective of the project is to create tools for communities to improve water security in Canada and improve governance for source protection and land use. Water security is an emerging concept, which has gained increasing attention over the past five years. For example, in 2009, the World Economic Forum described water security as “the gossamer that links together the web of food, energy, climate, economic growth and human security challenges that the world economy faces over the next two decades” (World Economic Forum, 2009). 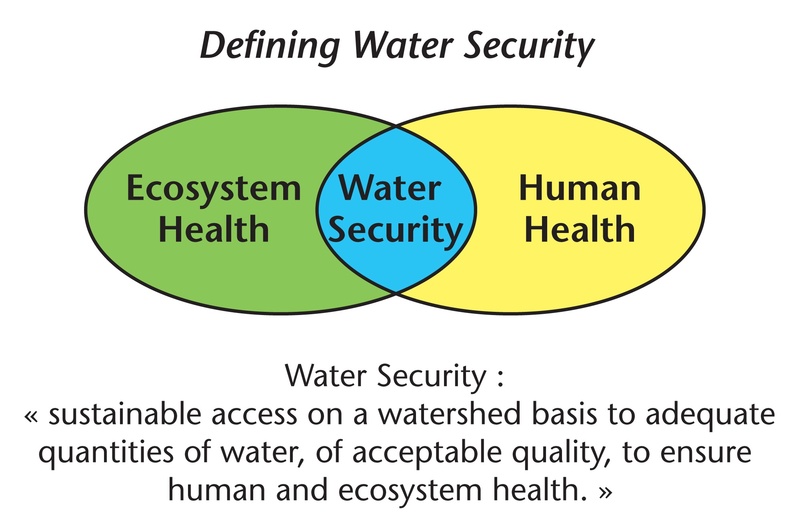 We define water security as “sustainable access on a watershed basis to adequate quantities of water, of acceptable quality, to ensure human and ecosystem health”. This definition sets baseline requirements for water resources management in a watershed on a continuous basis; there must be access to adequate quantities of acceptable quality of water for both humans and the environment. Water security is an overarching conceptual framework that articulates the desirability of balancing competing land and water-use practices. It takes a broad look at all demands placed upon a watershed, including quality, quantity (including climate change and allocation), aquatic ecosystem health, human health, risk and adaptive governance. Water security demands a greater priority for water. As such, it is a broad concept of integrated water management that balances resource protection and resource use. It is important to measure water security because this approach examines the watershed as a whole. Setting a goal of water security could enable decision-makers to effectively assess and mediate between conflicting demands for water use and minimize potentially adverse impacts from land and water management practices. Canada is not alone in dealing with water quality and water quantity concerns. Water, by its very nature, presents managers with three issues that are difficult to resolve: (1) competition between users of water resources; (2) vertical coordination of the multiple levels at which water is used and managed; and (3) the mismatch between geopolitical and administrative boundaries, on the one hand, and hydrological boundaries on the other. These issues flow, in part, from the fact that water is a multi-purpose resource, with multiple sets of users operating at different scales. In turn, this creates competing uses and diverse views of stakeholders within the policy debate. This project has been developed in two case study communities: the Grand River Conservation Authority, Ontario and the Township of Langley, BC. In addition to numerous project related journal publications and conference presentations, the team has made knowledge translation a key priority to ensure that the research benefits water managers, policy makers and community watershed groups. We introduced the concept of water security to a broad public audience through the publication Water Security: A Primer (2010) and Water Security Briefing Note (2011). The research project culminates in the Water Security Guidance Document published in 2012.